Discussion in 'Challenge and Contests Forum' started by Greg, Jul 30, 2005. Here we are at the 10th challenge. With some collaboration with Patrick on the subject and Leigh for the title we have a topic for this the 10th Challenge here at the Cafe. 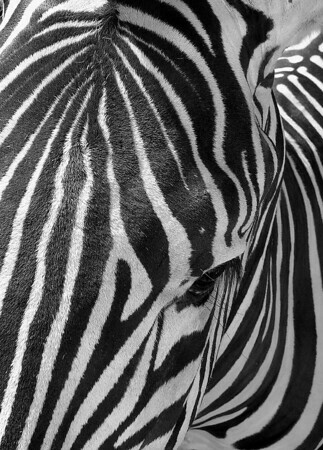 Images of animals only, but only a portion of the animal that will make the viewer immediately recognize the subject without seeing the entire animal. As usual, color, contrast, composition and all the other technical bits that make a great photo will be used to judge your photo but the "portion" will rank high in the judging criteria. Sample photo courtesy of "Leigh"
- Please give your picture a Title but the title should NOT be the name of the animal. This will ensure that your image and only your image will have the desired impact on the viewer. - One can edit/change the text of the entry as often as necessary, but the posted pics are to remain unaltered once posted. - Pictures can be edited in PS but must have been taken during the submission dates. - Somewhat controversial pictures are permitted, but please use your judgment and keep it within reason. - Please include the EXIF data so that everyone can learn from your exceptional shooting skills! And will end on - Sunday, August 14, 2005 at 23:59 utc/gmt. Pictures must be taken within this time period. THE PRIZE: To celebrate this the 10th Challenge the winner will receive A 24 PACK OF blank DVDs on which to save their precious images. So. Post your submissions in the Submission Thread. When the submission time has elapsed I'll put up a voting thread and explain the voting procedure in that thread at the time it's posted. I'm sure we will see some great photos with "different" views of animals we are all familiar with. Good luck and above all else...enjoy! Excellent! This is going to be a great Challenge. Great.. I am good a missing things with a camera. I remember my kids telling me, Ma, you couldn't take a picture with a throw away.. HUmmm True story to. Hey that's a great Topic! Whoops I can;t read. It isn;t of an animal - unless you stretch the idea a bit far. How about the eye of a crocodile? Sorry. Just ignore my first attempt. I just got it wrong. But it's a really cool picture none-the-less! Thanks for that. I think I was panic-ing a bit as I have not posted an image here for a long time (if ever - can't actually remember) so it wasn't going too well at first. With so much to take in all at once I forgot the obvious. Can I post a picture of my Ex ... ? your shot is really neat. it would surely take first place in the "Picture of something that looks like something else" category. Only 16 hours remaining to claim your stack of Blank dvd's when you win this challenge. Just got back from Scotland. A short holiday. Great fun. Lovely place. Great people. Fell in love with Inverary. Weather wasn't the 'to die for' stuff needed for landscapes - but not too bad.